Historic preservation is all about real estate development. At the Pittsburgh History & Landmarks Foundation, we do this on a non-profit basis, working primarily in low-income communities to create affordable housing through the restoration of historic neighborhoods. PHLF also develops real estate on a market basis through our wholly owned for-profit subsidiary, the Landmarks Development Corporation (LDC). PHLF has over 50 years of experience developing real estate and restoring historic properties in some of the most challenging real estate markets in the region. This includes formulation of the Carson Street revitalization program when much of the South Side was experiencing real decline, redeveloping Station Square, restoring the Market at Fifth historic buildings in Downtown Pittsburgh and our ongoing comprehensive historic restoration initiative in Wilkinsburg. Our goal, always, is to improve the quality of life through restoration and preservation of historic buildings and neighborhoods. We accomplish that by utilizing a variety of preservation tools, which include easements, planning, architectural design, construction management, and real estate development financing. Ultimately, we succeed because we aim to help renew the community, but not to displace its residents. That has been our approach since the 1960s when we started working on the 1300 block of Liverpool Street in Manchester, where we not only saved the block from its impending demolition under, but also helped organize the residents to form the Manchester Citizens Corporation, which continues its work today. In Manchester, PHLF created the nation’s first historic preservation district in a predominantly African-American community. More than 50 years later, we continue applying those same principles in places like Wilkinsburg, where PHLF is engaged in a comprehensive preservation initiative working with borough leaders and the local community development agency to restore historic houses and apartment buildings in a low-to moderate-income community. 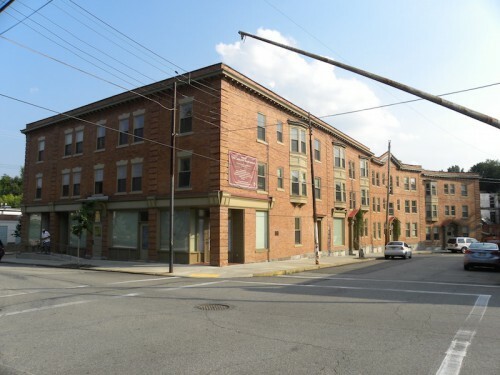 In Downtown Pittsburgh, PHLF is applying preservation principles in partnership with city leaders to help revive commercial retail and housing in the historic central business district. We are guided by a core set of preservation real estate principles and practices that create and validate markets while saving and restoring the buildings that are the fabric of our neighborhoods and our community.